The Kilimanjaro team celebrated the end of a very successful year with our annual Year-End team dinner. This year’s venue was Coast Restaurant in Cockle Bay Wharf in Sydney’s Darling Harbour precinct. The restaurant provided us with a private room big enough for our team, which had grown considerably since our 2009 celebration. Carmen was in charge of the evening’s entertainment, and she excelled at this in the same way she excels running our support desk. 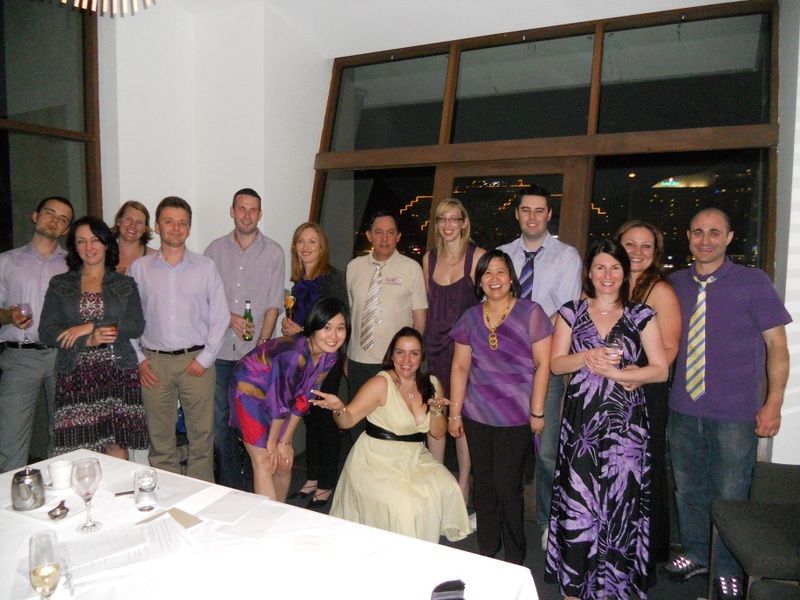 Our Melbourne team joined us, and the evening reflected the team spirit that makes our company so special. Note the Kilimanjaro colour theme of the evening !